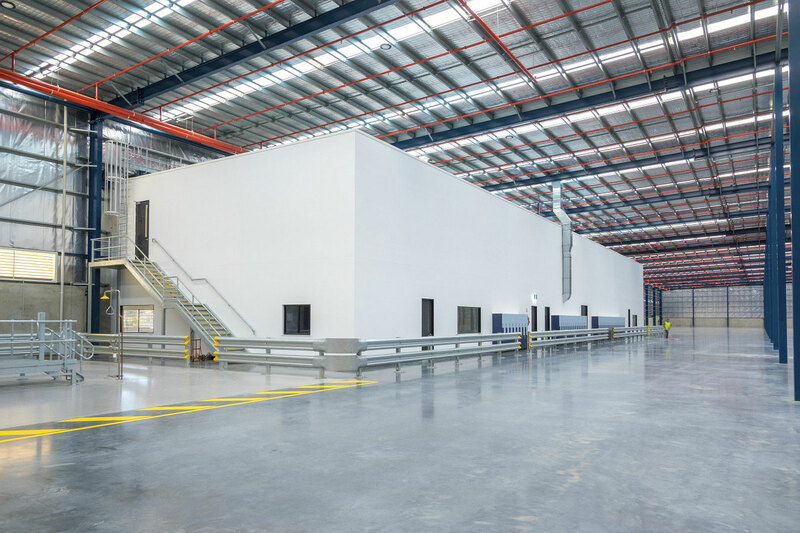 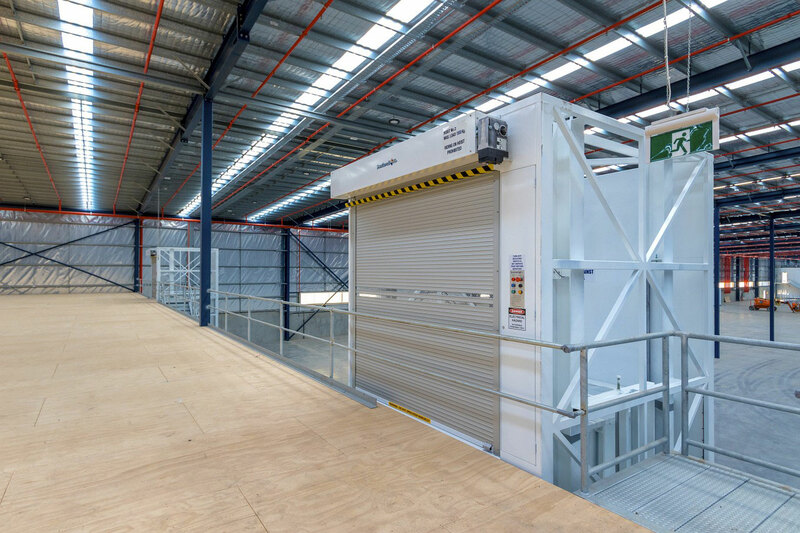 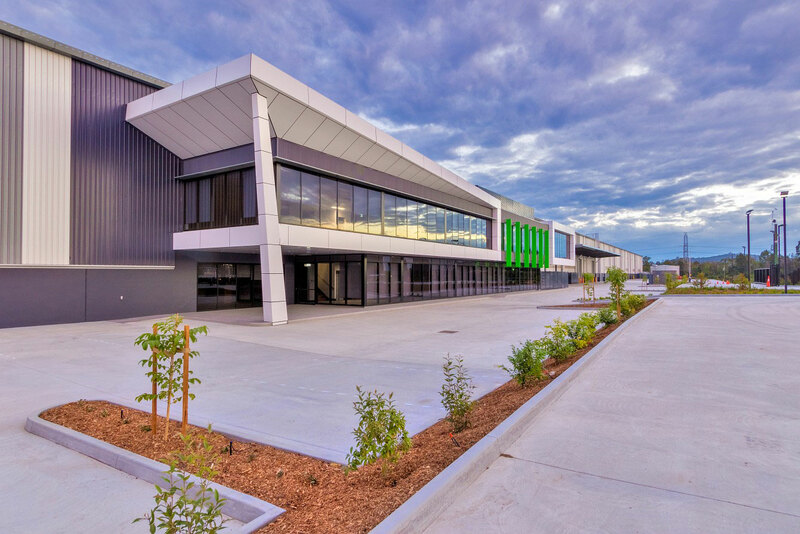 Amart Furniture's new Office and Warehouse facility at Rochedale Motorway Estate specially designed to utilise the entire land to create a modern working space of 12 acres under roof. 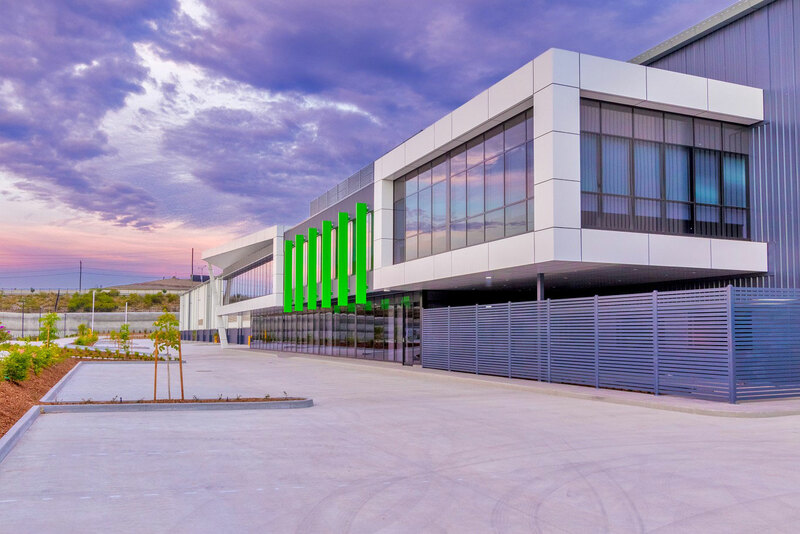 Amart Furniture's new 2-storey main office area covers 2,000m2 and consists of full modern and efficient amenities including staff lunchroom and shower facilities, and boardroom meeting and training rooms. 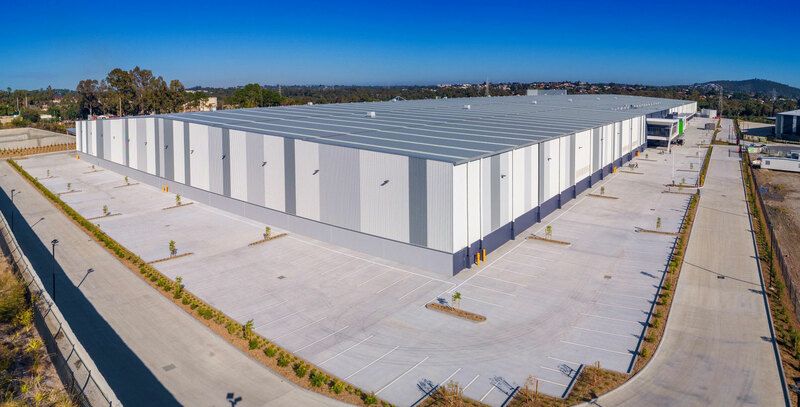 Due to the immense size of the warehouse, a further Control office space was provided containing offices, amenities and lunchroom, and a driver's lounge with another kitchen and full amenities. 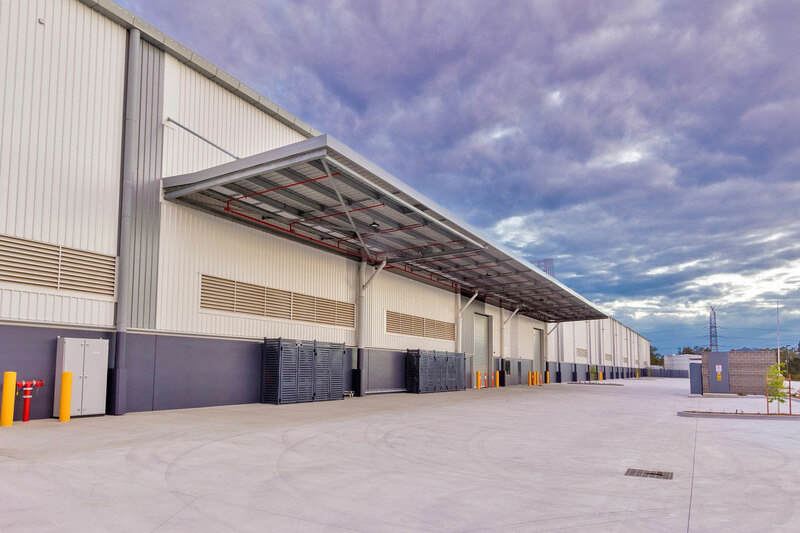 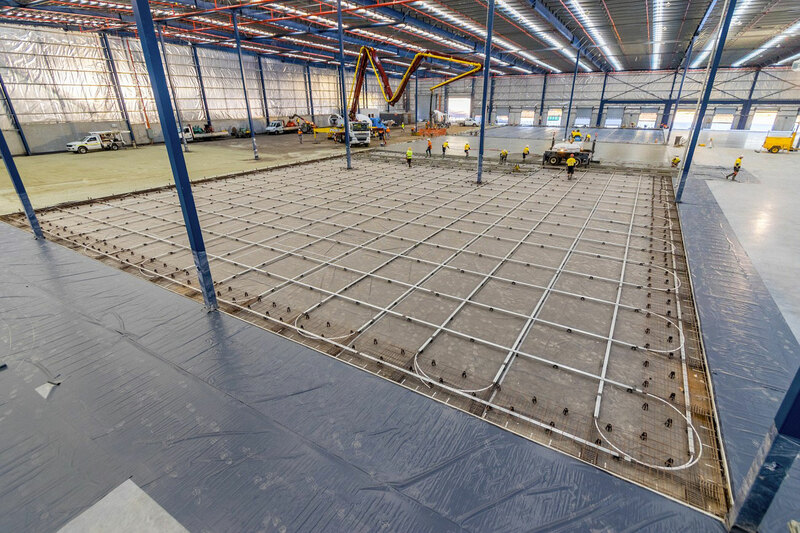 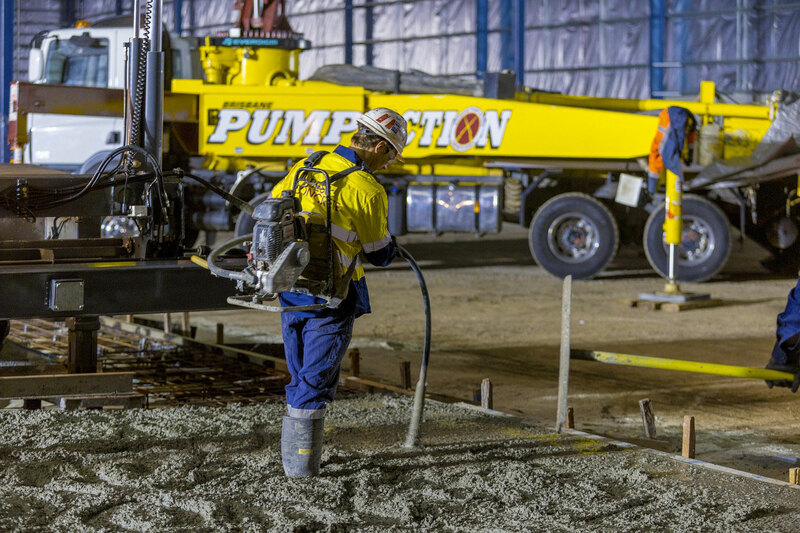 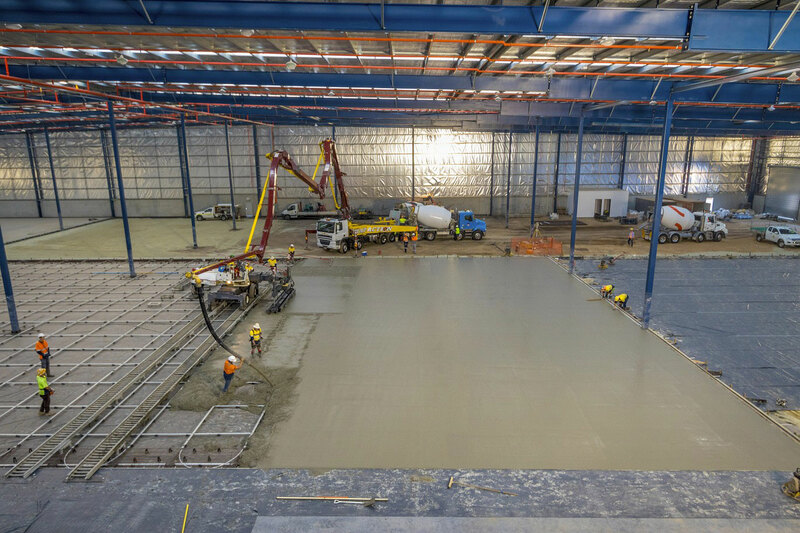 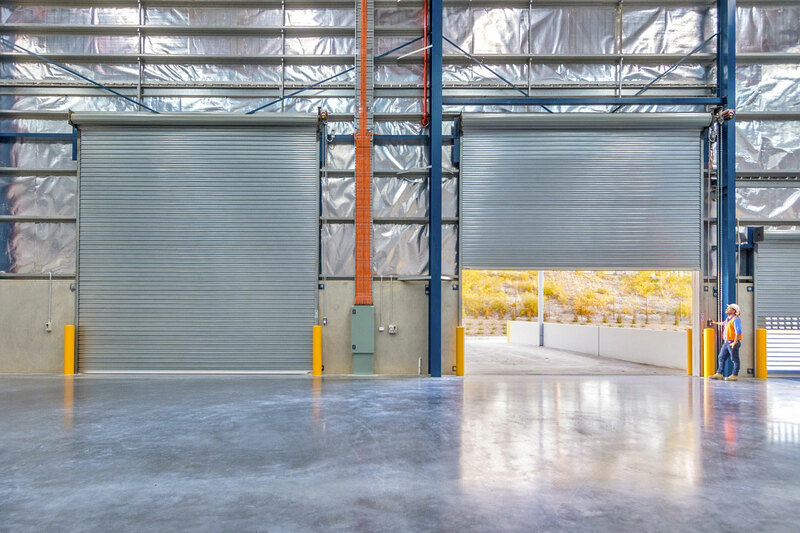 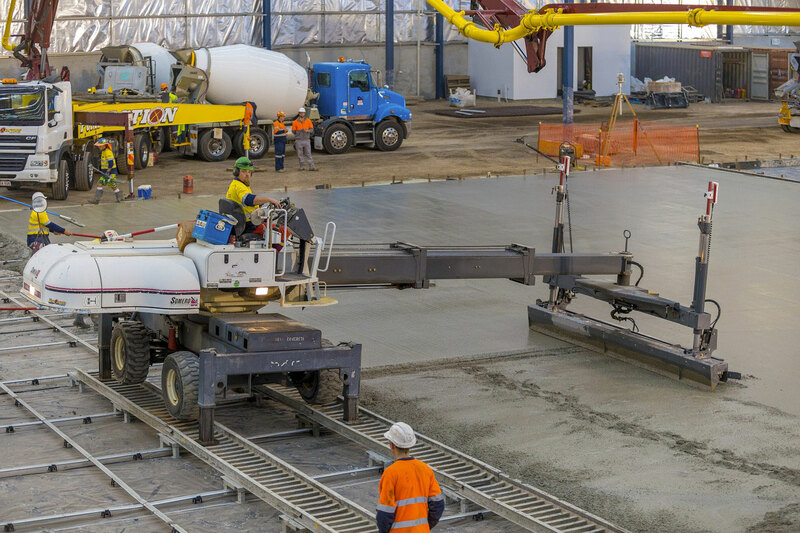 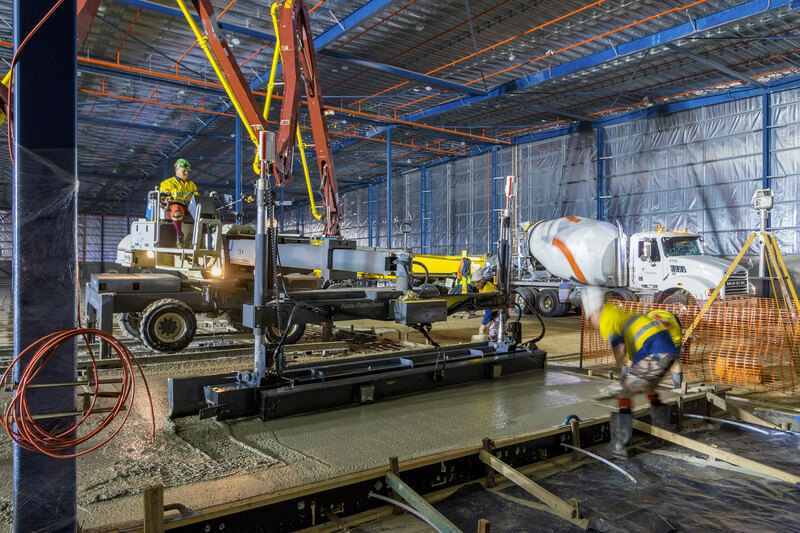 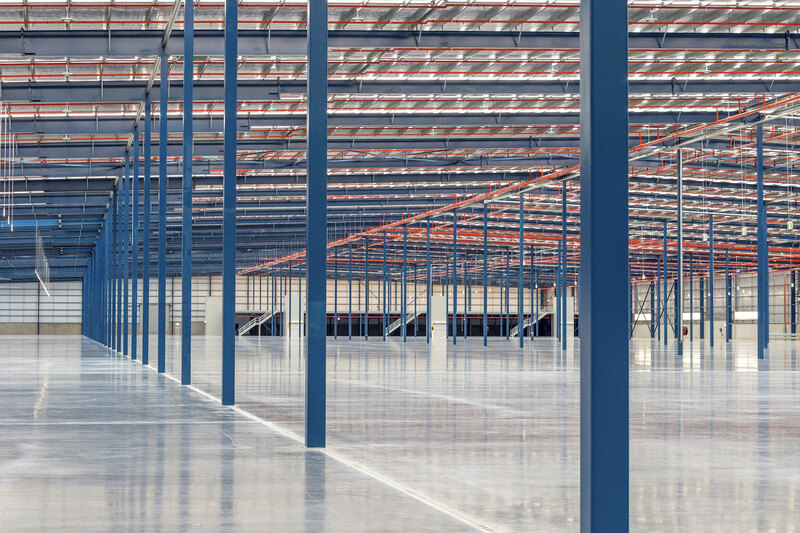 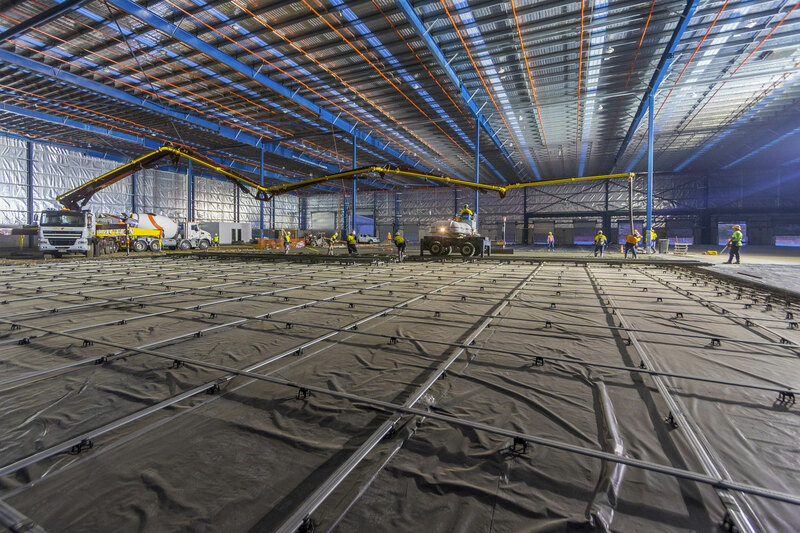 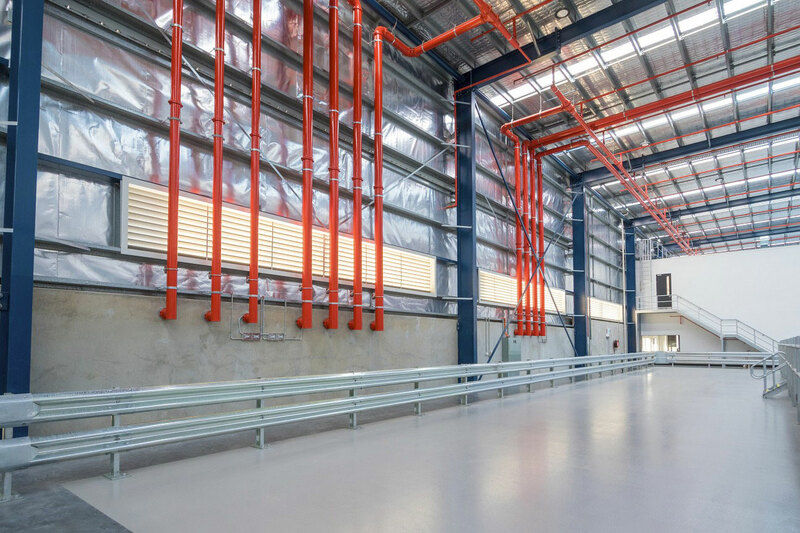 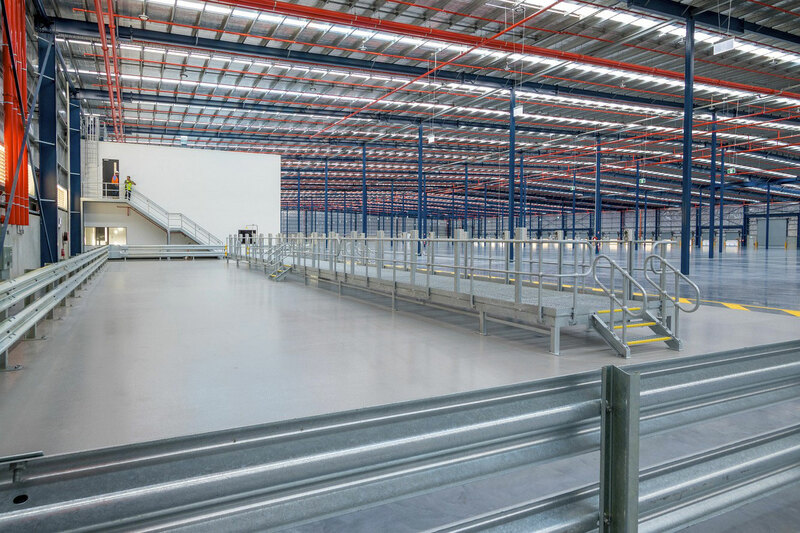 This 12 acres of structural steel, portal framed warehouse was constructed on a post tensioned slab with an external heavy duty hardstand for trucks and light duty concrete area for staff car parking. 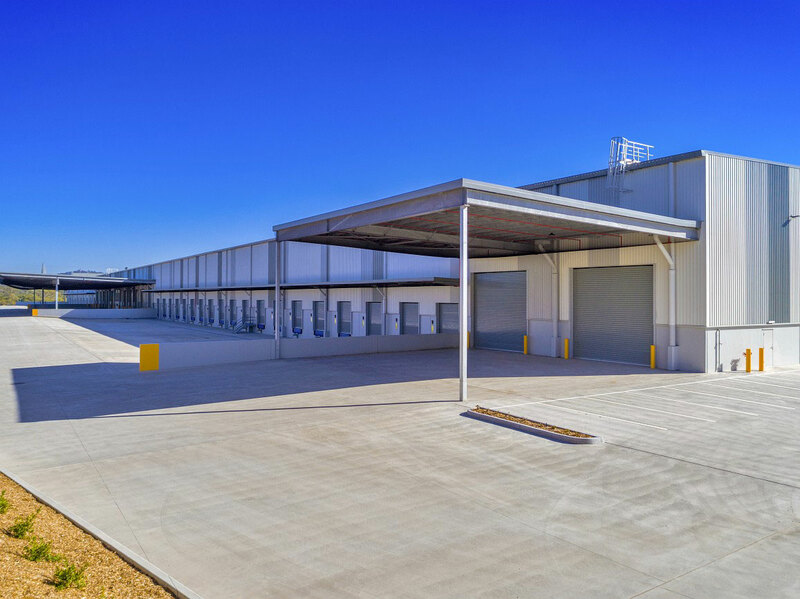 12 flush docks and 34 sunken docks were installed under expansive awnings around the facility. 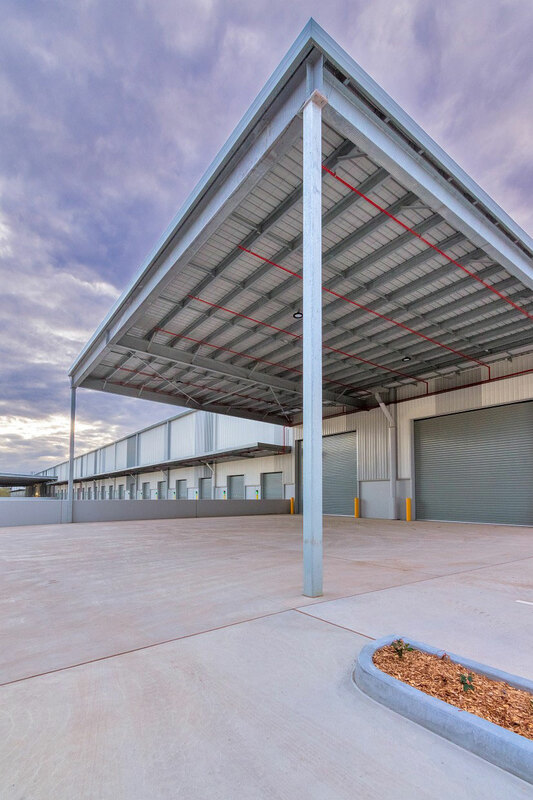 Full design and construction of 12 acres of office / warehouse facility.